Deborah Hausman of Sherwood, Oregon and her 5 year-old Dutch mare, Verona (Jazz x Glennridge) had success at the recent Golden State Premiere in Rancho Murieta, California. 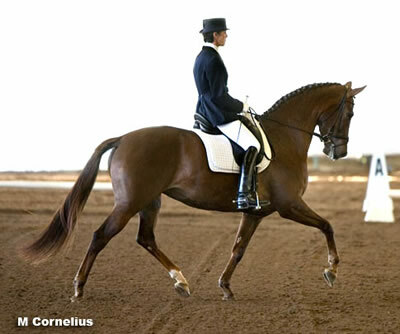 The pair scored an 85.8% in their Materiale class. They went on to receive qualifying scores in their FEI Finale Test for Young Horse (5 year-old) and will compete in the USEF Young Horse Dressage Selection Trials for the World Championships in May of this year. Deborah, along with her young horses will return to The Netherlands this summer to again compete on the International Young Horse Circuit.